As expected, President Trump made no mention of climate change in last night’s State of the Union Address despite touting national security as a major priority–even the Pentagon has deemed climate change an immediate risk to national security. The President did take a moment to point out America’s production of oil and gas as a national point of pride without giving any credit to our renewable energy industry which is responsible for the fastest growing jobs in our nation. All in all, it was much of the same, a pat on the back to the fossil fuel industry with zero acknowledgement of the greatest threat that humanity is facing. Maybe next year will be different, but we won’t hold our breath. While President Trump has been adamant about getting funding for a border wall (something he reiterated last night), he’s entirely ignored the environmental implications of an end-to-end physical barrier ball as he’s proposed. In fact, construction supplies have already shown up at the National Butterfly Center in Texas which serves as a refuge to 240 species of butterflies, including the increasingly-threatened Monarch. In addition to this, President Trump has consistently denied climate change, pulled the United States out of the Paris Climate Agreement, yet the wall he’s hoping to build is a seawall to protect his golf course in Doonberg, Ireland from sea level rise. As Inside Climate News reported, in December 2017, the Trump International Golf Links in Doonbeg received approval from Clare County Council to build two 2,067-feet and 853-feet seawalls in length on a public beach for “coastal erosion management works.” The walls are meant to protect the property from “global warming and its effects,” according to its 2016 permit application. In response, the Save the Waves Coalition and its environmental partners filed separate appeals to Ireland’s national planning board, An Bord Pleanála. A year after their appeals, the case still remains undecided and the groups are pressuring the board to take action. Looks like President Trump only “believes” in climate change when it might cost his business money, but no such consideration for the American economy. Why This Matters: The Trump era has ignited the debate of whether we need a televised SOTU address or if this is just a platform for the president to tout his agenda and disregard the issues that won’t score him political points. It’s an interesting thought, but if Americans are going to be forced to sit through an hour-long speech then it should address pressing issues like climate change which was responsible for the suffering of thousands of Americans last year as a result of wildfires, hurricanes, and other extreme weather events. 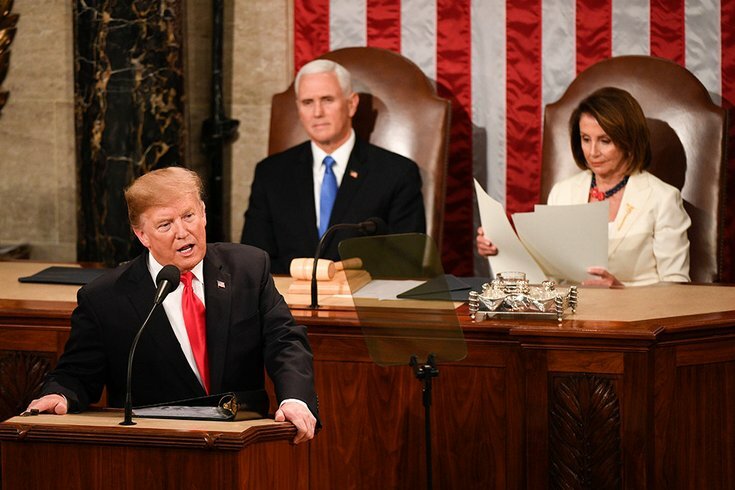 However, if you’re one of those people that’s into the SOTU no matter what, then this fact-check of last night’s speech is for you.